Hi, we’re Groovething. 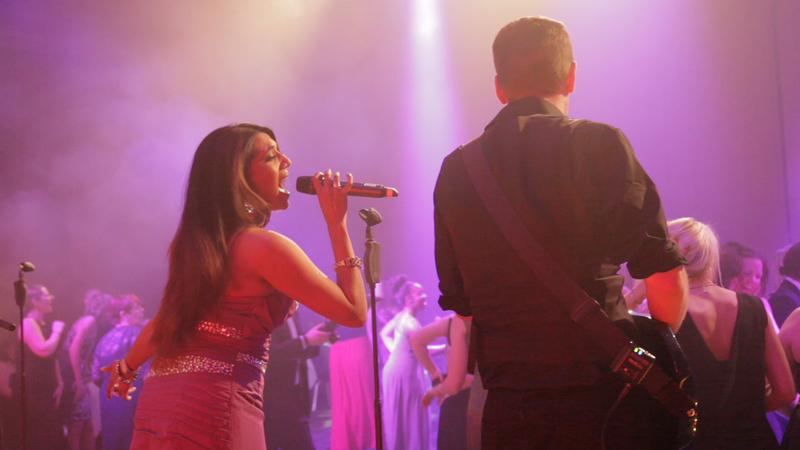 We’ve been touring the length and breadth of the UK at weddings, parties, and corporate functions since early 2007. With a long list of corporate clients, we’re a huge hit with event production companies as well as private wedding and party clients. 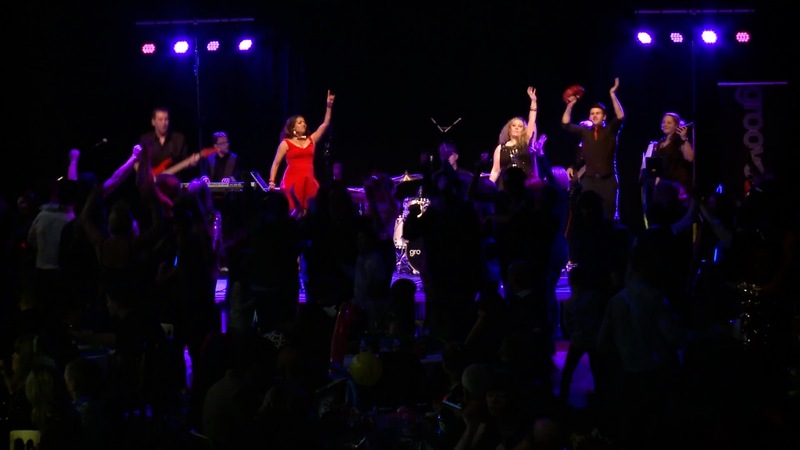 We perform at numerous events every year, all over Cheshire, Lancashire, Manchester and the North West and have a vast repertoire full of all your favourite party and wedding classics, from 50’s Rock and Roll all the way through to todays chart hits. We flex from a smaller 4-piece lineup to the full 8-piece band for the ultimate party experience. 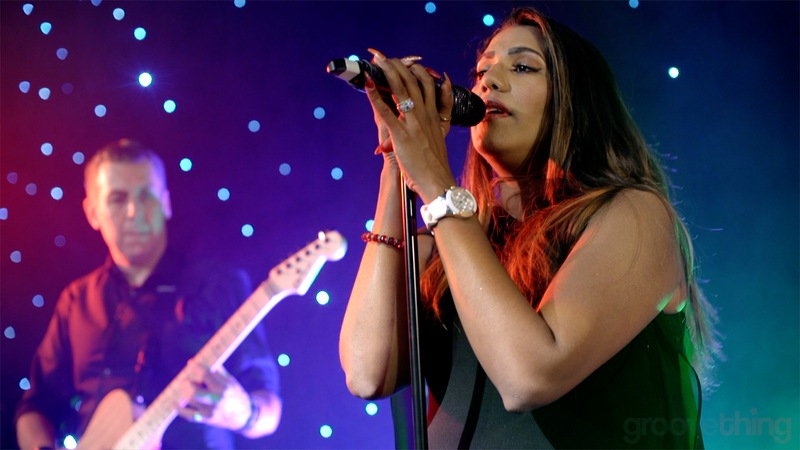 When you are looking for a truly memorable wedding band to hire or an alternative to a cheesy DJ then get in touch – it might work out cheaper than you think and it will give your guests an evening to remember! Watch our latest demo reel, with 100% live performance as recorded at the Big Bolton Ball in November 2018. 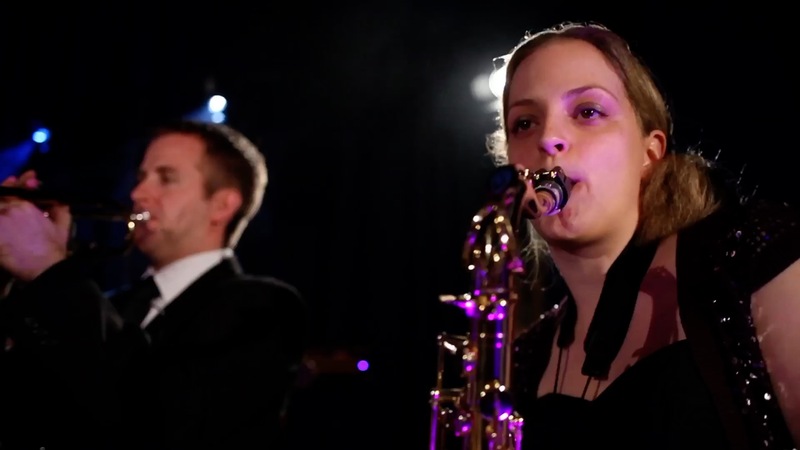 Featuring our fab horn section and the 8-piece line-up of the band, check out some soul and funk tunes. A mix of some of our past gigs and a little about the band and the services that we offer. Free DJ Option with Every Booking! As part of our services we even provide an optional DJ service so that you have music all night, to fill in the gaps where the band aren’t playing. We use the same PA system and equipment that we already have setup so it saves you time and effort to find another supplier and also cuts down on space usage and clutter in the venue. We’ll even play your favourite songs if you send us a list beforehand. We know at your wedding you are likely have a real mix of ages, tastes and preferences, which is why we have an extensive repertoire for you to choose from. Here’s a selection of songs from a typical set-list that we might play at your wedding. If you’d prefer to choose specific songs, then that’s absolutely fine too! ”We just wanted to drop you and the other members of the band a quick thank you note. Please pass our thanks to both the band and the DJ, you were brilliant and had everyone up dancing for the whole evening and also did a fantastic job on our 1st dance song. So many people commenting on how good the whole set was! We couldn’t have asked for a better band to play at our wedding. ”You were absolutely brilliant! So many people came up to me on the night and subsequently to say how much they enjoyed your performance and how they had such a good time dancing grooving to the excellent music!